Draw Jammies, pajamas you can draw on! Do your kids hating going to bed every night? Make bedtime, sleep overs and going to grandma’s house fun again for kids of all ages. Created by a father and son, Draw Jammies gives kids something fun to do before bedtime. The duo came up with the concept of Draw Jammies and the rest is history. 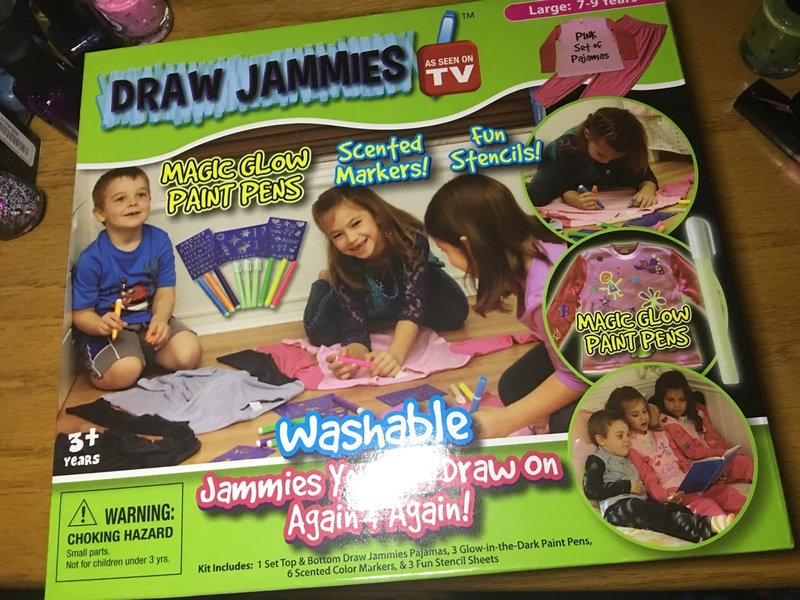 Since May 2015, Draw Jammies has sold over 5 million pairs of Draw Jammies. 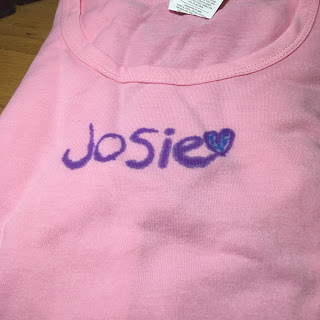 Draw Jammies are machine washable so you can design your jammies, wash and start again. Draw Jammies come with 6 different scented markers that bring life to designs and pictures. 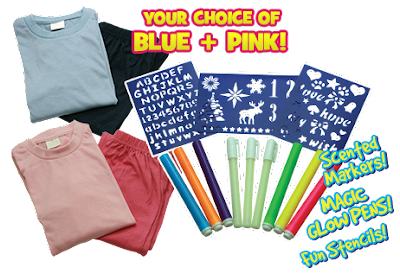 Includes 3 stencil sheets, 6 scented markers and 3 glow pens to draw stars, colorful rainbows, animals, letters, names and whatever comes to mind. Where was this when I was a kid? I would have loved to have something like this. It comes with stencils, markers, and paint pens. Draw, wish, repeat. 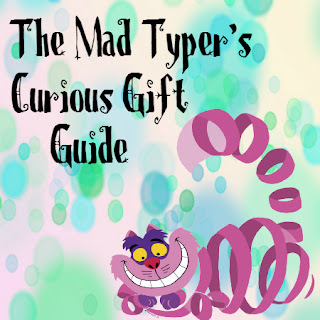 If your kid is crafty or like many kids love to doodle this is like a never ending canvas. The Draw Jammies come with their special markers and are scented. 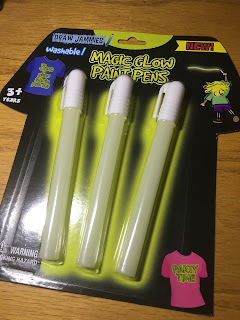 Did someone say glow in the dark? 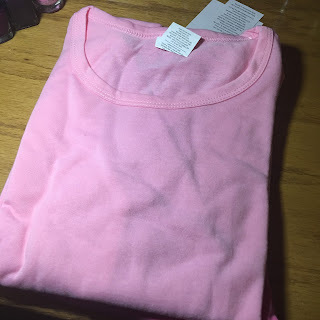 The Jammies are soft cotton and aren't too thin or thick. They would be great for all seasons. When you draw you do have to pull the fabric taught to be able to get a straight line. If you don't it crinkles and you get what you see with the J/O. 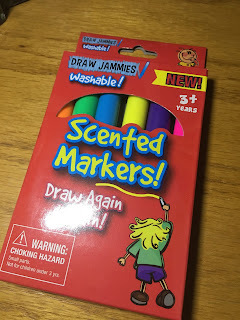 The markers don't run and write easily. The pants and the tops are able to be drawn on even though the photos just show mostly the tops being drawn on. Great gift for a child in your life.